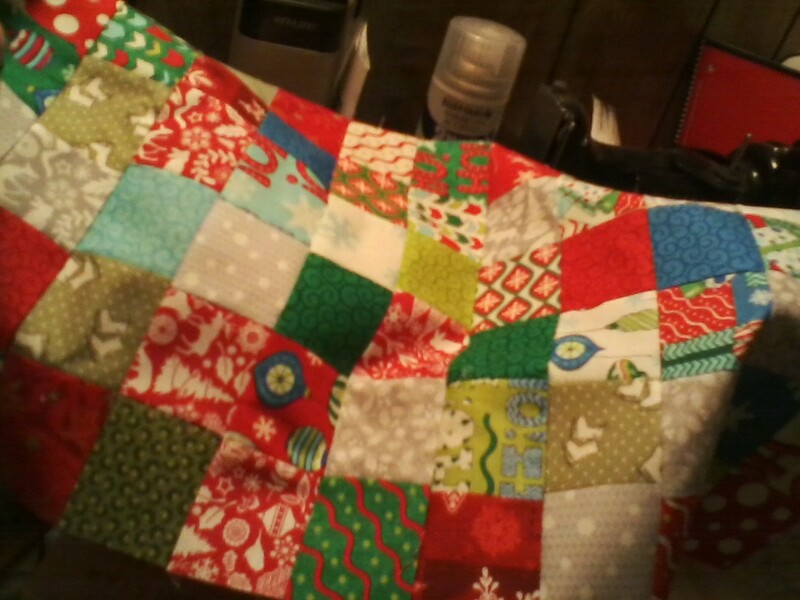 sewyouquilt2: how many days till Christmas??? this is the center portion of the Christmas runner I will do. and all sorts of Christmas prints in there. and almost the great nephew. are you making some Christmas gifts for those on your list? You are going to have a mighty nice table runner.